In an extremely competitive Indian marketplace, auto brands are reimagining customer engagement through digital executions like no other. 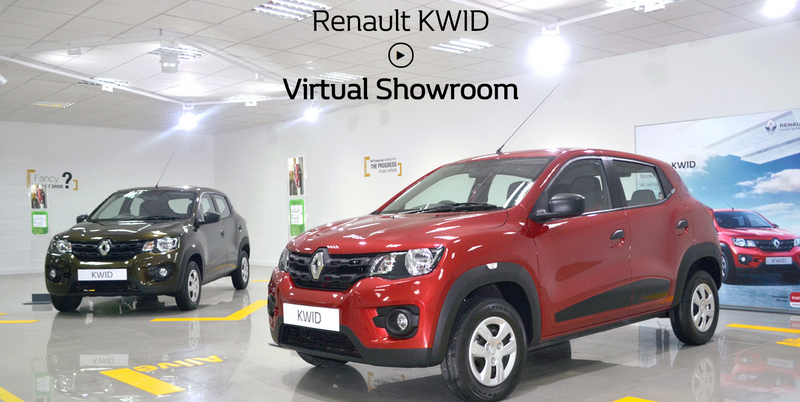 Case in point is Renault India’s brilliant, first-of-its-kind Virtual Showroom for the newly launched hatchback, Kwid. The rendition is simple; it is the idea that is compelling. The Kwid Virtual Showroom microsite is a visual, full screen experience playing a short video that gives you a peek into the Live demo. Users need to provide their contact details to register for the Live Demo scheduled every hour from 9am-9pm. This is a great way to give potential buyers a virtual, engaging view of the vehicle, by appointment, similar to what they would experience in an actual dealership, without the touch and feel of course. The streaming quality is great and seamless. In addition to increasing reach, this definitely accelerates (pun intended) the customer journey from awareness to interest even without a showroom visit. The UI is well thought out and rendered, with clear call to action at every step. This will be a real win for Renault if they are able to see an improvement in their customer conversion percentage from enquiry to actual test drive. Nonetheless, this is a fine example of how to create a clutter breaking digital Auto buying experience.